Spectrum News 1 reporter Rod Hissong visited UC's College of Design, Architecture, Art, and Planning to cover a project aimed at combating the opioid epidemic and educating bystanders. DAAP Graduate Studies Coordinator and Associate Professor Claudia B. Rebola designed AntiOD, a device to make opioid overdose reversal medicine naloxone more accessible to those in need. 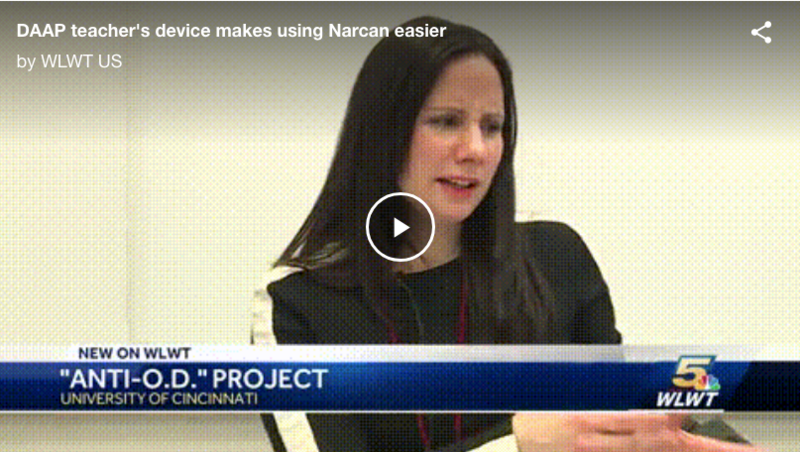 She and students Sabastian Ramirez, Norberto Sanchez and Swati Chopra hope to roll out an educational campagin and install naloxone-dispensing devices across Cincinnati by spring. Read or watch the entire interview on Spectrum News 1.